This site is inspired by a lifetime of reading about cooking and eating Italian food as well as traveling in Italy and experiencing the magic on the ground. Nowadays we rely a little less on cookbooks to find recipes but there is something special about a printed book that is more inspiring than a website or blog, no matter how good. The cookbooks below are just a few of the more recent that I have been inspired by. Darby reading at the table again! I have linked the books described below to through to Book Depository who I think are the world's leading online book supplier. Why Do I think this? Because they will send books anywhere at astonishingly low rates. And they have a wonderful range, especially of food and wine related books. Check them out! Culinaria Italy: Country. Cuisine. Culture. I just love this book. It is regions-based from Abruzzo to Umbria. 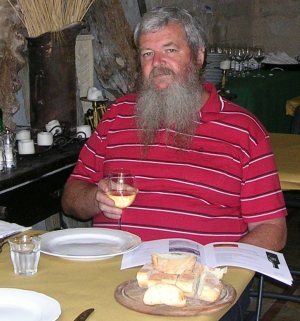 Between the beautiful pictures there is great text and explanations of the wine and food, all embedded in the culture. So, for example, in the Sicily chapter we learn not just about recipes and about Marsala, Nero d'Avola, swordfish, capers, citrus and canoli, but also about the culinary aspects of the Leopard, Lapadussa novel about the political upheaval surrounding the integration of Sicily into the reunited Italy in the 19th century. 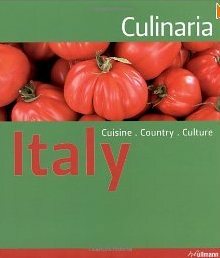 Each of Italy's regions gets a chapter describing in detail the culture, local ingredients, food specialties and wine along with hundreds of plenty of Italian regional recipes. The authors, mother and daughter are well know to Television audiences in America. 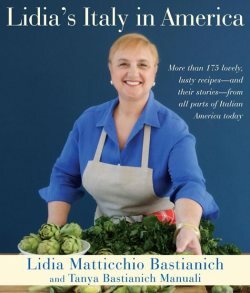 This book is just one of several I could recommend by Lidia, but what makes it stand out is that it demonstrates that there's more to Italian cuisine than just Italy. Of course America has the largest of the Italian diaspora but there is plenty of other new world countries where a similar story has unfolded over the past century. So if you can't go to Italy to enjoy the cuisine, this book will keep you dreaming. Another Italian Cookbook by a non-Italian but he knows his stuff. Here is a TV chef who can actually cook and communicate. Since his launch as the Naked Chef a few years ago Jamie has tried his hand at many aspects of food and cooking. On the surface he is light, breezy and casual and shows that cooking can be fun. But there is a lot of good recipes and good sense here, obviously backed up with sound research. 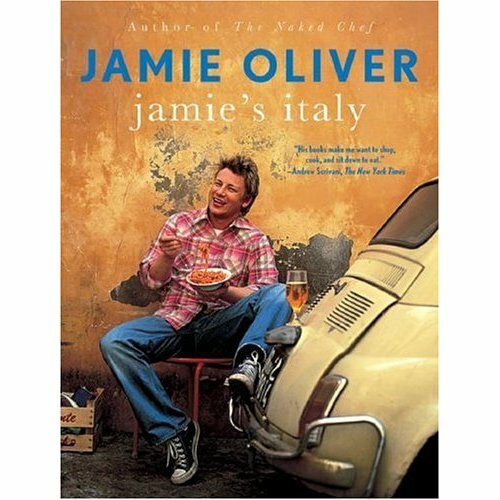 The result is a blend of Jamie's personality and the personality of Italian food in all of its regional expressions. Everyone has a favorite cookbook. Italy wine food readers share there favorites on this page. Why not add your favorite or browse what other readers have said.